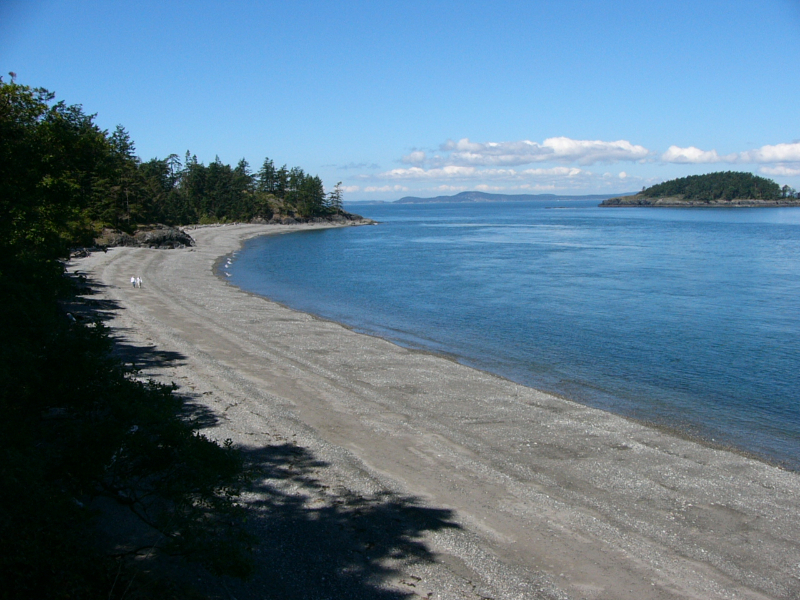 This mile-long gravelly shoreline offers excellent views of the Deception Pass Bridge and shelter from ocean winds. 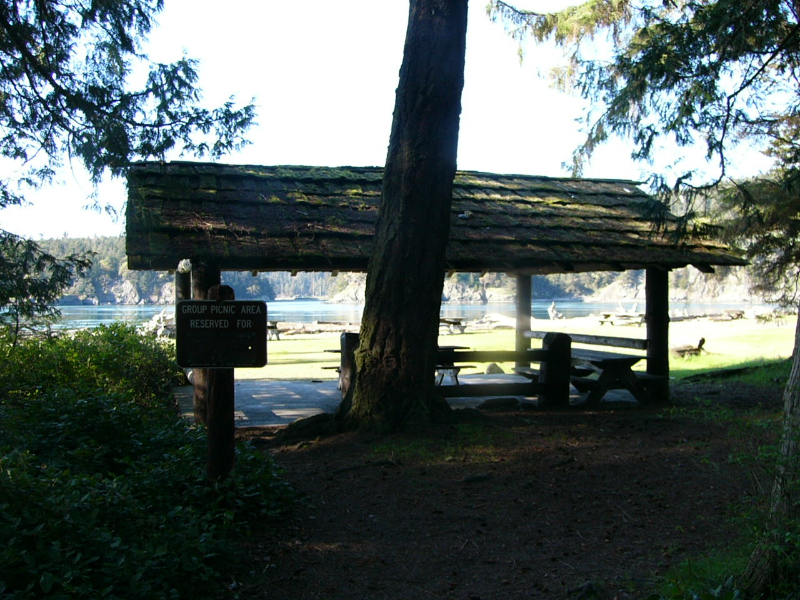 There are three Civilian Conservation Corps-built picnic shelters at the eastern end of the Beach near the North Beach parking lot in addition to numerous other tables and benches. 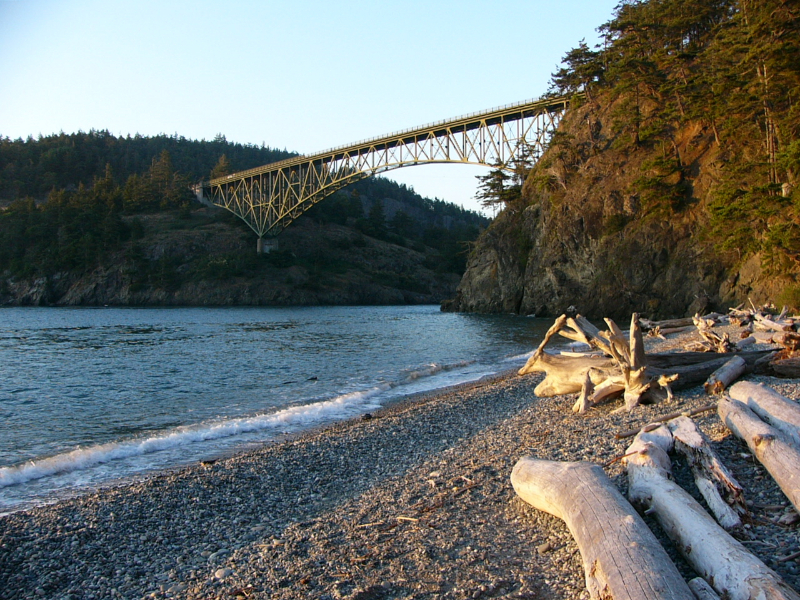 Two of these shelters can be reserved through the Washington State Parks reservation system. 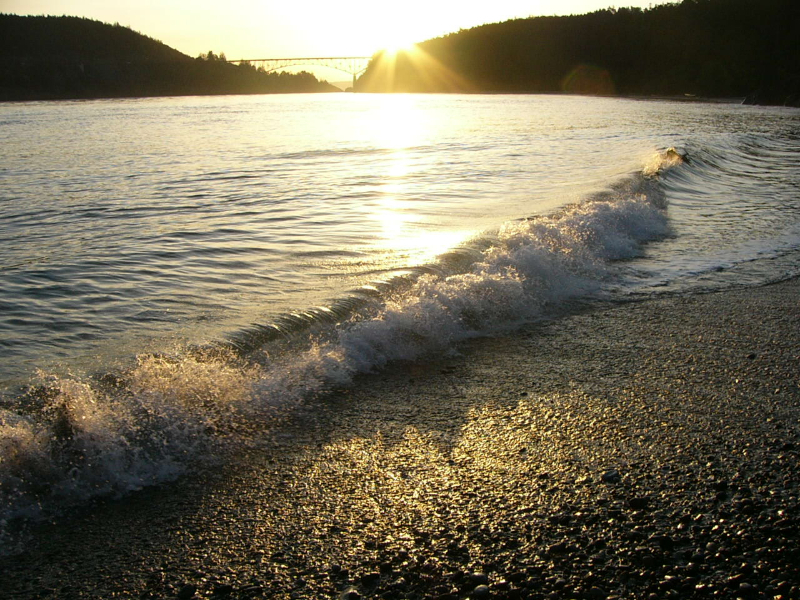 During peak salmon runs, fishermen line the shore from amphitheater at the west end of the beach all the way to the bridge. 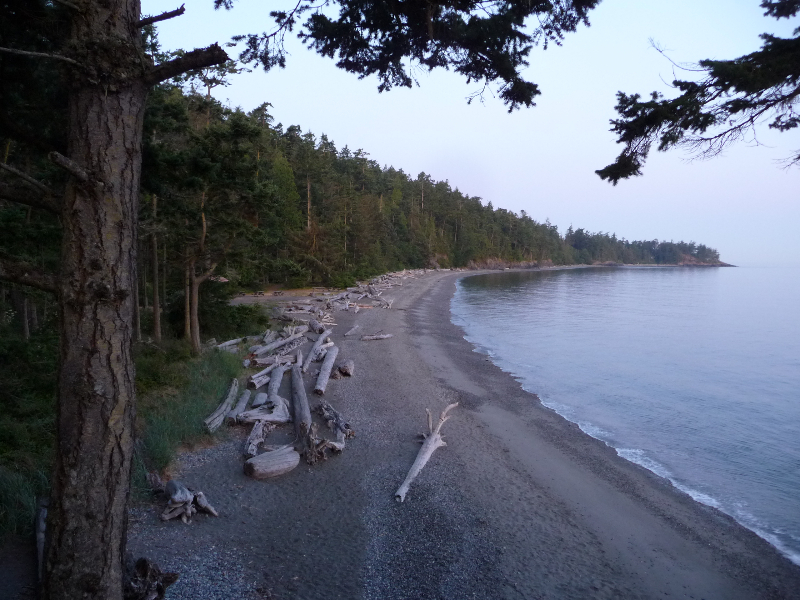 North Beach tends to be a bit more peaceful than nearby West Beach as a short hike is required for access to many stretches.